PUSH A BUTTON TO PUT YOUR WORLD IN MOTION! 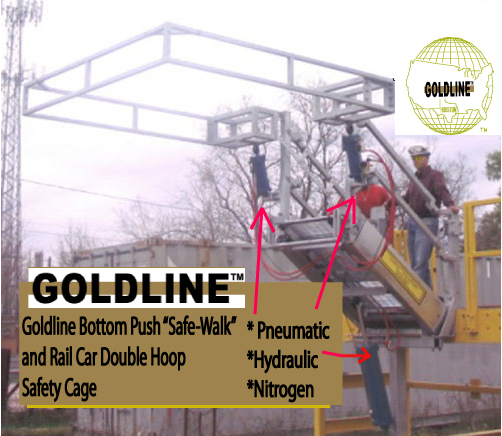 Goldline International Equipment Manufacture LLC builds each power system with pneumatic, nitrogen, or hydraulic assist according to each project requirements. Goldline's Auto-cad department will design a specific power system that meets or exceeds any engineering requirement. 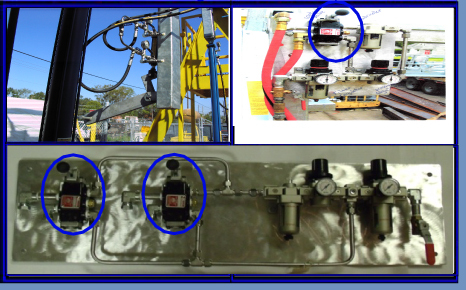 After Goldline International has designed the system, then if required, a independent P.E. Stamp can be furnished. This saves time and money in bringing a Goldline Power System into operation. Time is the best inventor for vetting any project plan. Goldline's design team can make your Power system perform for years to come. In counting the years of experience just in Goldline's Auto-cad design team all together, Goldline brings to the table well over 40 years of design experience in Power systems with time itself as the best teacher. 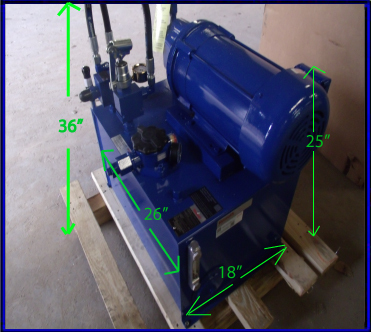 Since Goldline International Equipment Manufacture LLC knows our equipment best, let Goldline design your Power systems. While moving product or personnel safely, Goldline's Power systems make the world go. If you would like for us to visit your facility, anywhere in the USA, generally, Goldline International site visits are free of charge. We also take pride that our products are 100% American Made. 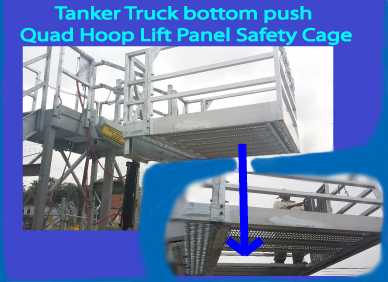 This Power Assist Double Hoop Safety Cage is used when platform height is too low to clear the railcar envelope. 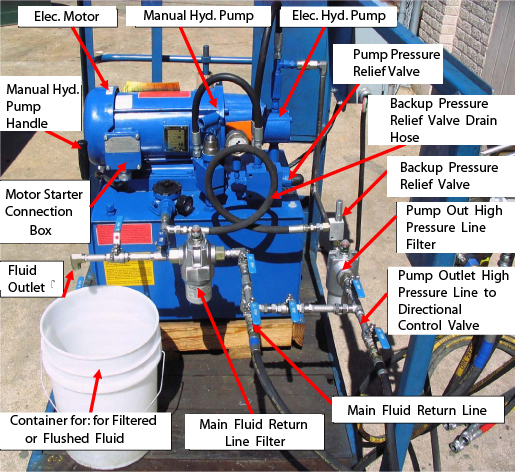 Pneumatic, Hydraulic, or Nitrogen Assist. Let Goldline design a Power System to meet your needs !